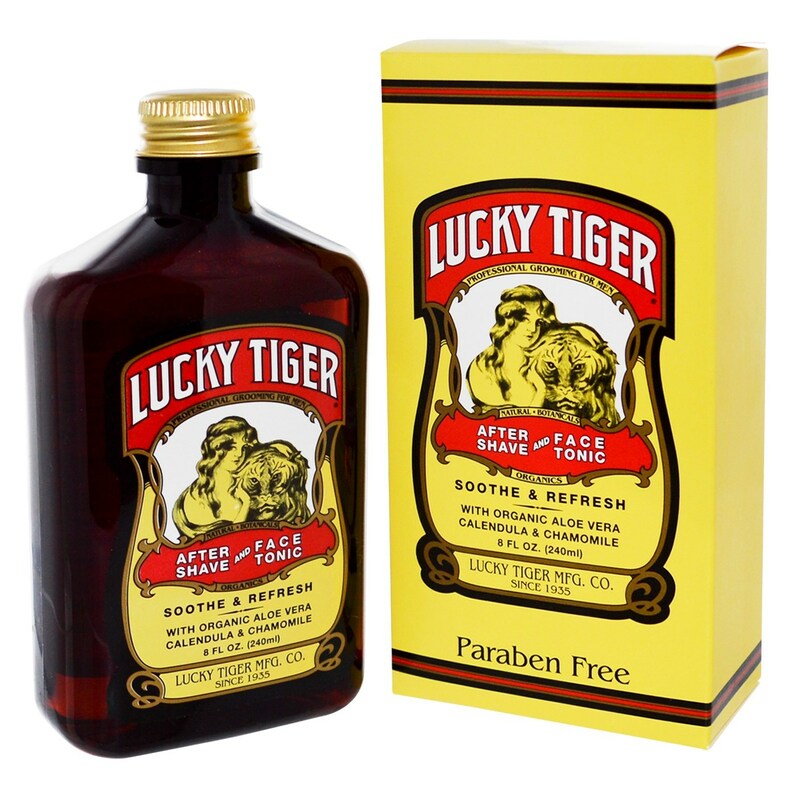 After Shave & Face Tonic from Lucky Tiger contains organic aloe vera, calendula and chamomile. Notes: Paraben Free. Cruelty Free. Natural. 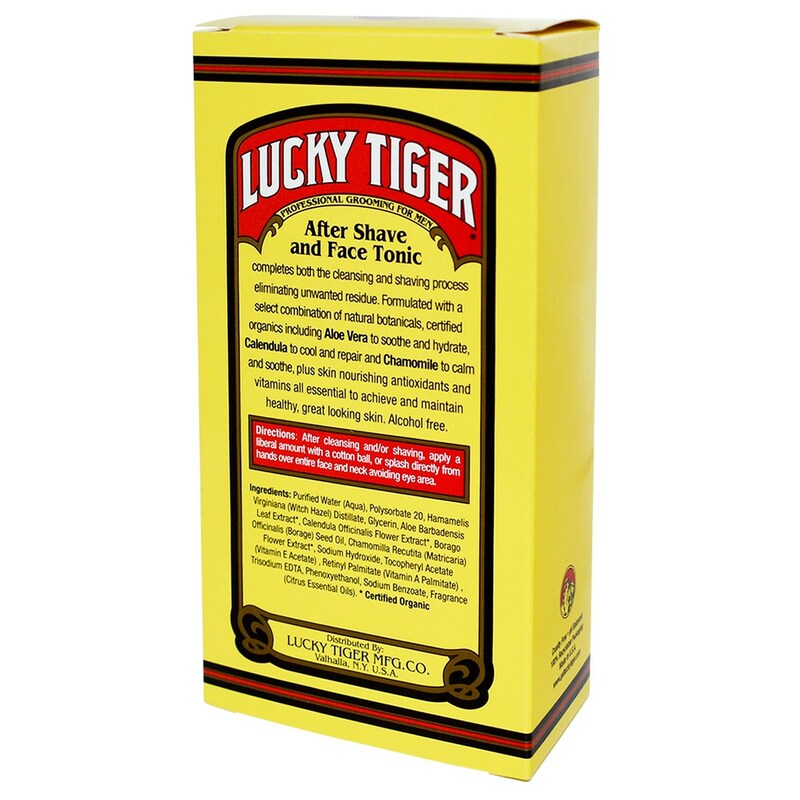 Recommended Use: After cleansing and/or shaving, apply a liberal amount with a cotton ball, or splash directly from hands over entire face and neck avoiding eye area.